Being charged by elephants, crossing the Nile River and hiking through an African conflict area with armed guards has humbled Nick Dowhaniuk. 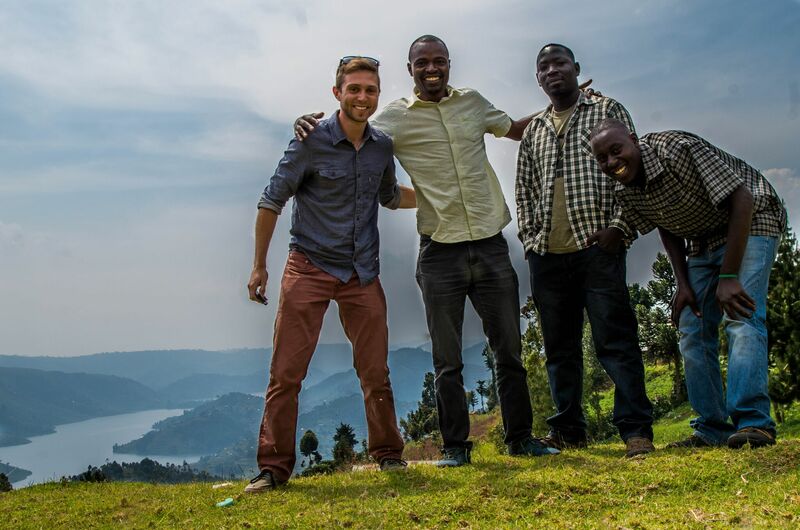 Now, he’s embarking on a two-year journey funded by National Geographic to study community perspectives of public health in Uganda for his dissertation project.Dowhaniuk hopes to build on his eye-opening experiences from his first trip to Uganda in 2014. When Dowhaniuk first came to the University of Florida to pursue a Ph.D. in medical geography and a Master of Health Science in environmental and global health, the 28-year-old had never been to Central Florida. Before arriving in Gainesville, Dowhaniuk obtained a master’s degree in conservation from the University of New Hampshire. Dowhaniuk randomly applied for a grant from National Geographic for his first master’s project and was awarded the funds. Since then, he has attended conferences, traveled to headquarters in Washington, D.C., is an Explorer for the organization and has had articles and photographs featured on National Geographic media platforms. In late September, he traveled back to Uganda for his Ph.D. dissertation project using a another grant from National Geographic. Dowhaniuk will conduct research in Uganda for up to two years but hopes for the project to become a long-term relationship. Amy Blue, Ph.D., a clinical professor in the UF College of Public Health and Health Professions’ department of environmental and global health, is a former professor of Downhaniuk’s who now serves on his dissertation committee. She acknowledged how passionate he is about community building and improving health in Uganda. 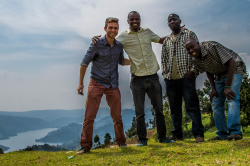 Dowhaniuk, an avid photographer, plans to implement photography into his research by giving Ugandans cameras to capture their perspectives of community health issues. His Ph.D. adviser, professor Gregory Glass, Ph.D., a professor in the UF College of Liberal Arts and Science’s department of geography, thinks Dowhaniuk demonstrates what the point of a Ph.D. is. To Dowhaniuk, it’s about more than just research, a degree or a career — it’s about collaboration. “I think a lot of times in research we get bogged down by our own career goals and wanting to get published and sometimes the end goal gets lost,” he said.